30 years experience ! Take advantaje of our team´s knowhow, for a monthly fixed fee. We want your computers, servers, wifi and IP phone system to work at 100% every day. That is why we work, in a preventive way, on your antivirus, corporate firewalls, backups and restore test to verify that we can recover your valuable information before having trouble. We empower your competive edge through more and better functionality. 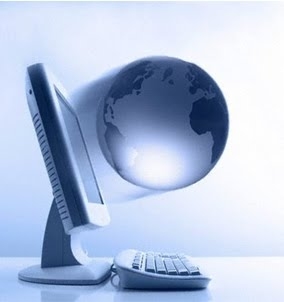 We offer Remote Support y and telephone help. We take charge of servers within your company, mobile e-mail, collaborative web sites, redundant e-mail servers, server migration, Disaster Recovery, IP telephony, and hardware renewal. our multidisciplinary team has much more skills and capacity than what an in-house systems employee can handle. We can agree on a 5x12 ( working days, working hours) o 7x24 schema ( every day, all day through) optimizing resources, and solving your problems the right and more efficient way. Workstations Operating System installation, Office package, configuration, e-mail optimization, antivirus and antispyware solutions: we can also supply all hardware and software at competitive prices. Servers Windows 2008 server, Exchange Server, ISA Server, SQL server, Sharepoint. Windows 2003 server. Servers as firewalls and SPAM and virus filtering. Migration between different platforms and in between versiones. Disaster Recovery for file servers, Exchange Servers and SQL servers.